As many of you know, I am a big fan of Azure SQL Database, the Platform as a Service (PaaS) database solution and that it frequently supports new features such as Active Geo-Replication for Azure SQL Database ALL Tiers and TRIM. 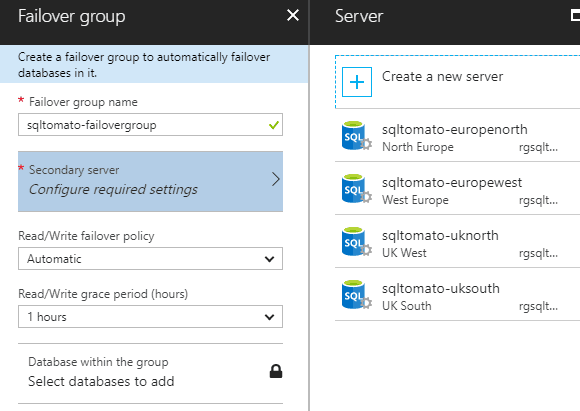 A failover group is a way of achieving transparent geographic failover for Azure SQL Database. Often an issue with secondary replica’s and failover is the connection string. In database mirroring we had the special mirror partner section of the string, in database availability groups we have the listener and now in Azure SQL Database we have failover groups and their endpoint listener. A failover group is a server-level group that can contain one or more databases which are failed over as a group. There may be more than one failover group per server. The group can include individual databases, elastic pools or a combination of them. 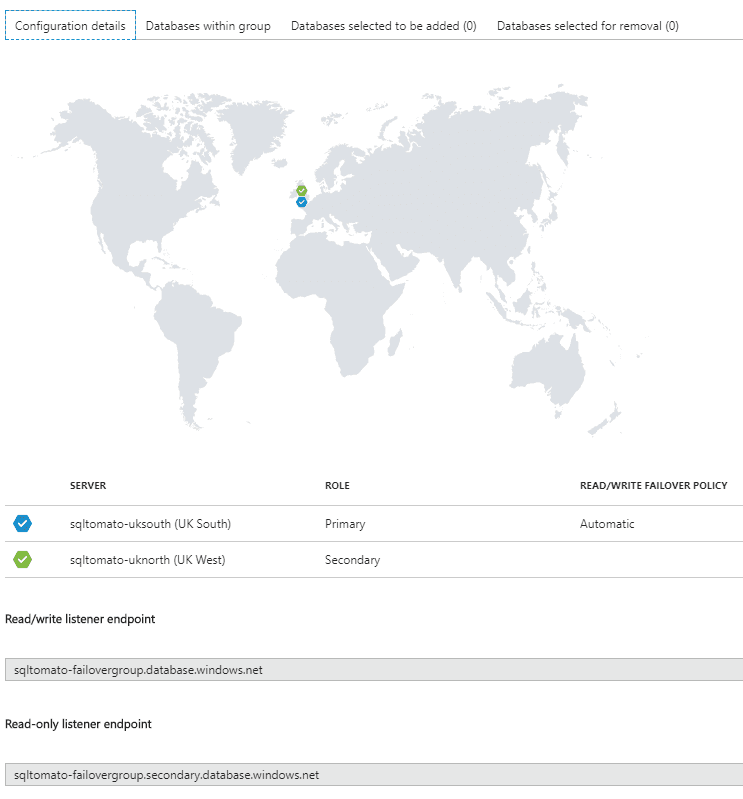 You can also add failover groups if you are already using geo-replication at no extra cost. The only limitation currently is there is only one read-only replica supported. With the constant development of Azure SQL Database and transparent geographic failover now exposing both read/write and read-only listener endpoints we can build our solution faster, easier and it will be more robust with these enhanced high availability features.